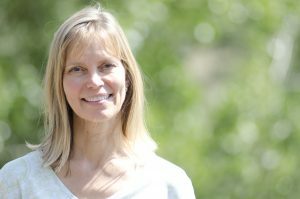 In her new book, What Does Not Return, Tami Haaland’s poetry informs the reader that we are all intimately and inextricably tied to the natural world. The recognition of this interdependence is tightly woven throughout the book. Nature can impart many things and these poems ask us to pay attention to messages at once transcendent and temporal, visceral and ethereal. Haaland leads us through an array of vistas including oceans, mountains, high deserts and prairies. 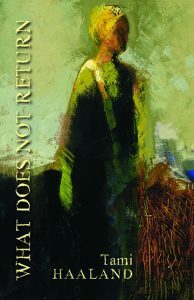 In the first section titled “Forgetting,” these disparate landscapes come alive and serve as backdrops to a mother’s dementia: “The earth smells musty and rich.” (6) Haaland emerges as a fierce caregiver as she unravels the harrowing stages of her mother’s diminishing corporeal and cognitive states. Haaland writes, “It was a long while and it was yesterday./It was a year and a mile, a daily escape,/a treat, a burden, a weight.” (1), thus coming full circle as a child who must now become the parent to her parent. With unflinching candor in the triolet, “A Little Prairie Song,” Haaland equates her mother’s dementia with a coiled snake: “Listen as her mind reels and tattles./Forgetting has swallowed it tail./And the snake coils and rattles” (3). Barbara Ellen Sorensen is the author of three books of poetry. She is a contributing writer to the Tribal College Journal and former senior editor of Winds of Change, the flagship magazine of the American Indian Science & Engineering Society (AISES).